Invited by Visit Baton Rouge to do a culinary familiarization tour of a city I had never been to was both exciting and a bit frightening. But my passion for trying new things outweighed my lack of knowledge of the Baton Rouge food scene and off I went. Was I going to like Creole? How about Cajun? Would I even know the difference? These were the thoughts going through my head as I boarded the tiny (45 passenger) plane, en route to Baton Rouge and a weekend food fest. We were 12 total....6 bloggers, two Visit Baton Rouge executives and a few friends, that came together to experience the best of Baton Rouge food. Our first day on the culinary tour started with Fete Rouge; the yearly food and wine event that this entire trip was planned around. With over 40 chefs offering tastings and 200 wines to sample we quickly became experts at balancing food and drink while taking photos. 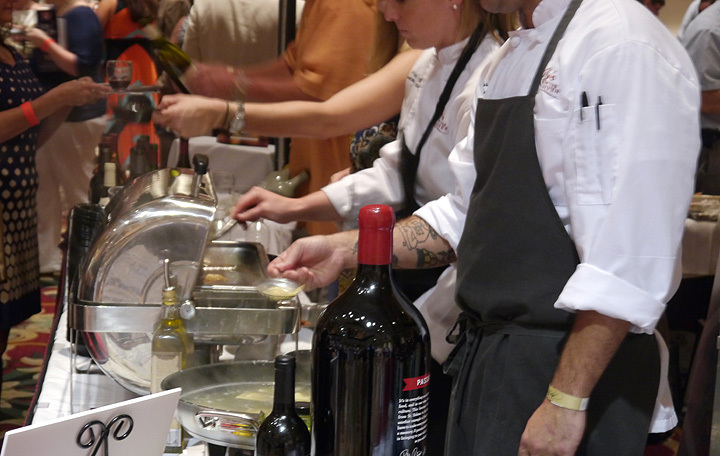 Fete Rouge is a food competition like no other I have ever attended. Chefs from the top restaurants around town gather to create unique and delicious fare, in hopes of being chosen to win a medal in one of the 14 categories (winners). I can honestly say that there wasn't a bad dish in the room that night; and yes, I tried them all. 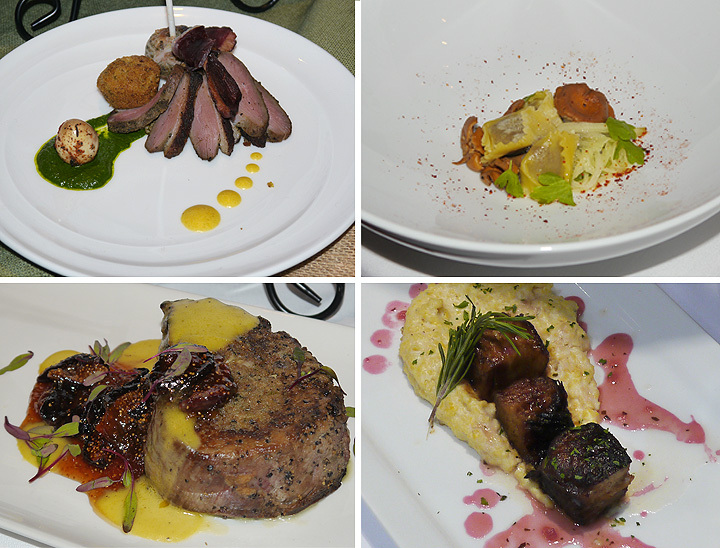 My favorites include: The Duck cooked 6 ways, which was presented by Bin 77 Bistro. The Pork Temple Agnolotti with Chantrelle Conserva from the Camelot Club. Sullivan Steakhouse's Tenderloin Roulade with Foie Gras and Roasted Figs. 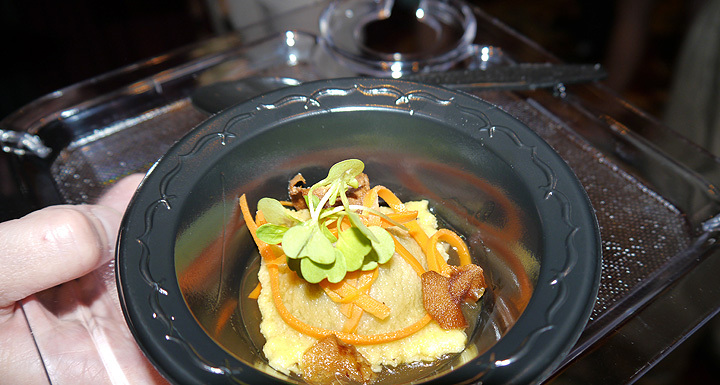 And last but not least Chef Chris Motto's Braised Pork Belly with Yellow Stone Ground Grits and Steen's cane syrup. Fete Rouge was a wonderful introduction to the cuisine of Baton Rouge and a great way to kick-off our culinary familiarization tour. Day two we started with our morning coffee and food at a Tigertown local breakfast joint; Louie's Cafe. Seated at the counter we were not only treated to a delicious breakfast but also to the humor of the chef himself. In between cracking eggs for omelets and greasing up the griddle he would stop to tell a joke or two. I had planned to only eat a small portion of my pancakes, as I knew it would be a long day of food tasting; but my taste buds got the best of me and I devoured the entire plate. Like most cities these days Baton Rouge has a weekly farmer's market; which was the next stop on our tour. 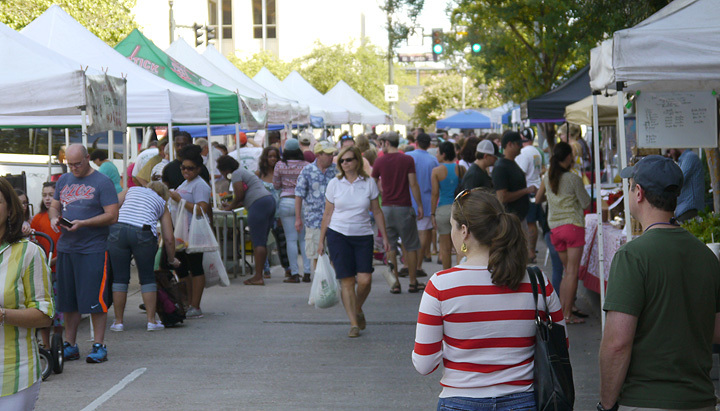 Loaded with fruits, veggies and even homemade pies the market spans an entire city block both indoors and out. We spent about an hour weaving through the vendor stands, sampling food and admiring the arts and crafts on display. If I had to choose my favorite event of the weekend it would be our visit to Tony's Seafood. 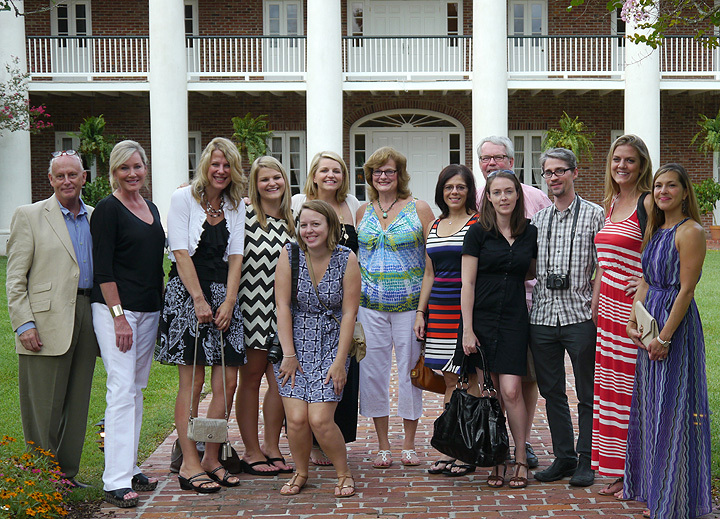 The hospitality extended to our group from the employee's was absolutely stellar. 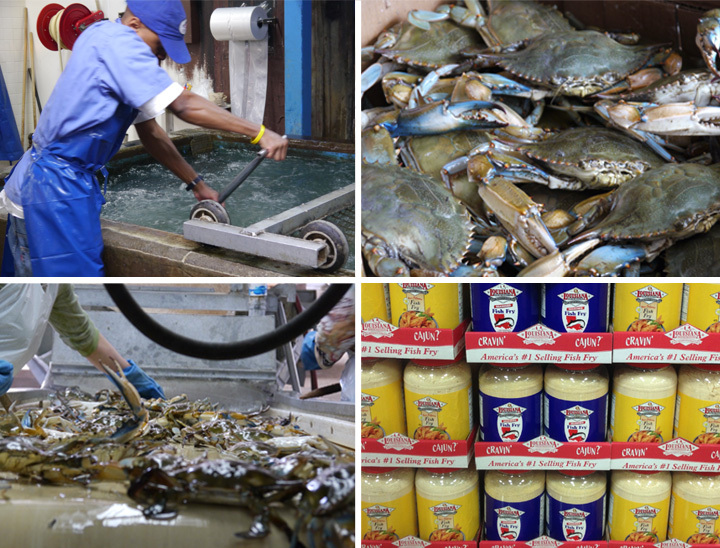 We got to see things like the catfish holding tanks, the walk in shrimp freezers and bushels of crabs waiting to be being weeded through for freshness. 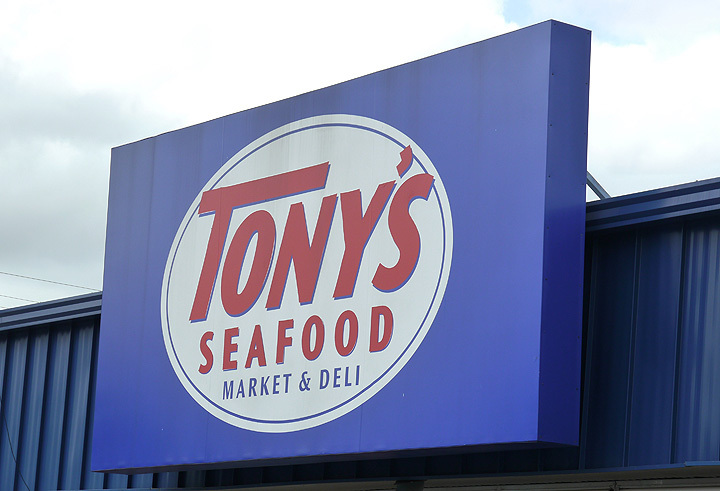 Tony's Seafood traces its roots back to 1959 when Donaldsonville, LA native Tony Pizzolato opened a small retail and wholesale produce business in the city of Baton Rouge. Since then it has grown by leaps and bounds and now includes not only fresh seafood but also a homemade blended seasoning known as Louisiana Fish Fry. Of course no culinary tour is complete without a tasting. At Tony's we got to sample catfish seasoned with fish fry, both boiled and fried shrimp, peach cobbler and a new thing for me boudin balls. Boudin was described as being a mixture of ground pork and rice that is traditionally stuffed into a casing a rolled into logs. The balls are a variation that are not cased and instead shaped as balls and deep fried. They may not be for everyone....but I loved them! 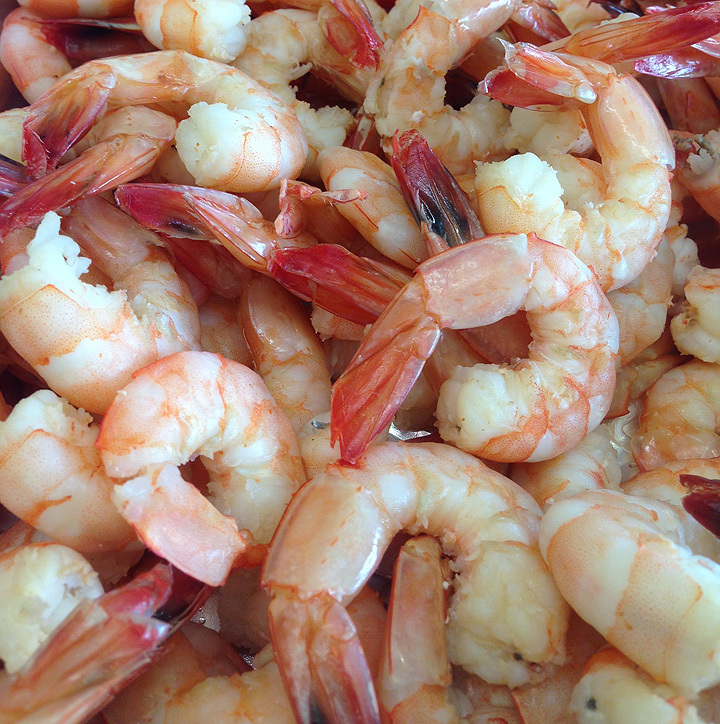 As I mentioned earlier Louisiana is home to both Creole and Cajun cuisine. Though I'm still not positive I can fully explain the difference; I can tell you that Creole dishes are tomato based and Cajun dishes are more brown in color. White Oak plantation set the back drop for that evenings Creole influenced dinner headed up by Baton Rouge native, Chef John Folse. On the menu were things like: Red Jambalaya, okra and tomatoes, sweet potato souffle and creole tomato grits. The next day, as if we hadn't eaten enough, we were scheduled for a brunch. Not your ordinary brunch mind you this was a beer inspired brunch. 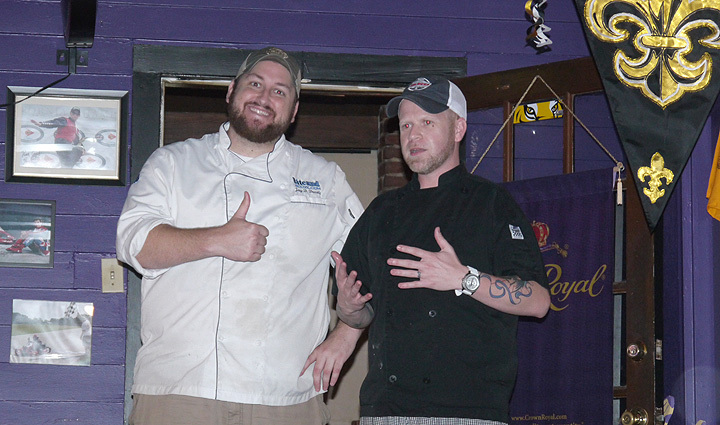 A pop-up experience prepared by Chef Chirs Wadsworth, Chef/Bartender George Krause, the Tin Roof Brewing Company and Chef Jay Ducote...hosted by Doe's Eat Place. Best defined as "something different and creative" the 6 course menu incorporated Tin Roof Beers into each dish. 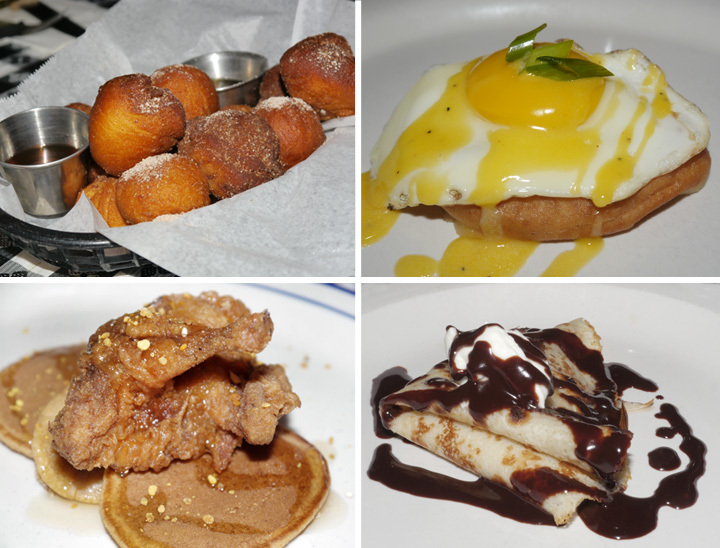 Doe's style beignet with a beer infused maple syrup dipping sauce, in my opinion, is a great way to start a brunch. Or how about the duck egg over Voodoo beer braised pork belly. Beer battered quail with sweet potato pancakes was a cool twist on the classic chicken and waffles. Oh and let's not forget the fig crepes topped with coffee ganache. Really everything was delicious. What a great way to end our weekend culinary adventures. This trip was a great opportunity for me to sample a variety of the delicious food Baton Rouge has to offer, learn about the city's culture and most of all experience the hospitality of the people that live there. How would I describe Baton Rouge? 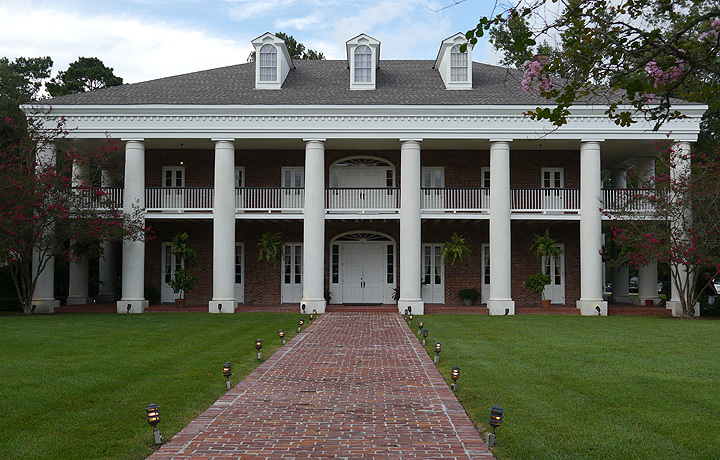 Baton Rouge: a small town feel; with big city dining options! Great coverage of your trip to Baton Rouge! What an awesome culinary experience! I love it! What a great post! We had so much fun!!!!!!!!! Awesome! So glad you enjoyed your trip! Great post! I love it!!! We need to do this yearly!! !